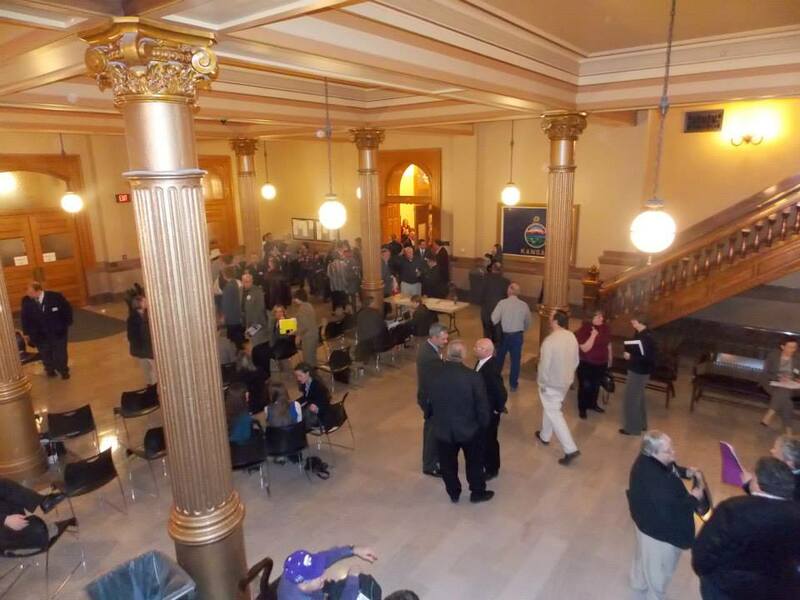 Kansans gathered at the Capitol in Topeka to rally in support of HB 2621, and to attend the House Education Committee hearing for the bill. There were people who attended from Garden City, Hays, Salina, Wichita, Dodge City, Manhattan, Wichita, Pittsburg, Manhattan, Lawrence, Topeka, Olathe, Spring Hill, Lenexa, Shawnee, Gardner, Leawood, and many other locations. Kansans who took time off from work, found childcare, and covered travel expenses. The room for the hearing was full, and the overflow went outside into the hall. 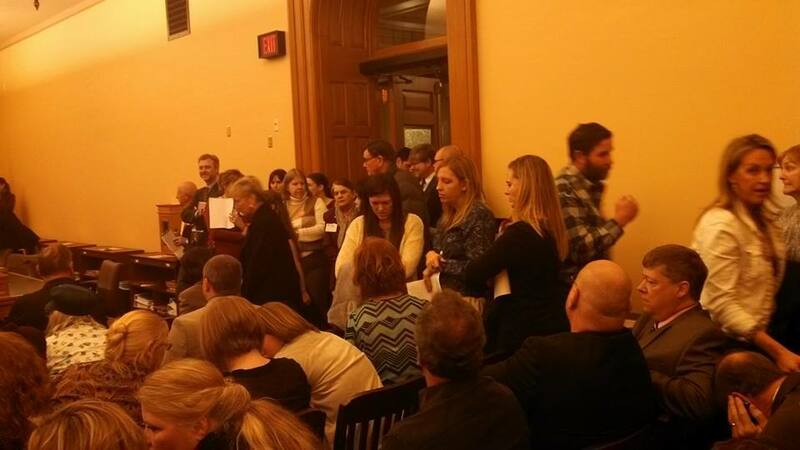 There were so many speakers, about 70 total with 30 supporting HB 2621, that time allowed for presenting testimony was limited to only 90 seconds. Those testifying did their best to make their messages as concise as possible. 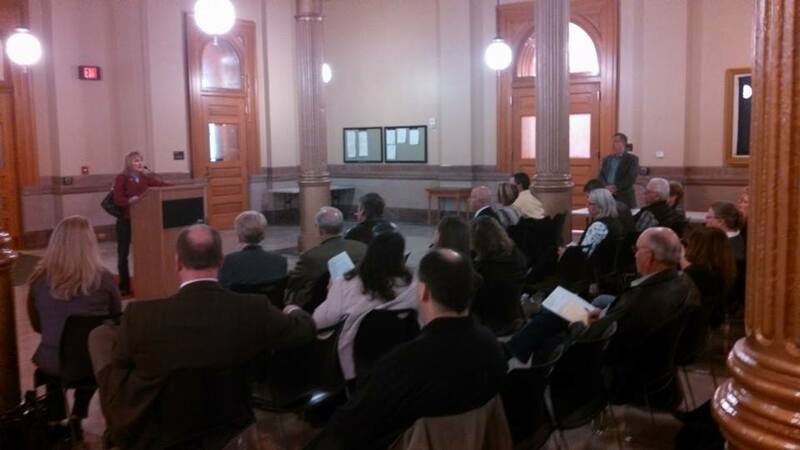 Excellent testimony was presented in opposition to Common Core (Kansas College and Career Ready Standards). AND PLEASE – Continue to share the truth about Common Core (Kansas College and Career Ready Standards) with friends, family, neighbors, etc. It is so important to encourage others to get involved at the local level! THANK YOU to everyone who attended the rally! THANK YOU to everyone who attending the hearing, submitted testimony and presented testimony! THANK YOU to everyone who made phone calls and sent emails! THANK YOU to everyone who has been following, sharing, posting, praying and supporting the effort to reclaim education in Kansas! Don’t miss one of these opportunities to grab a friend and attend an event to learn more about Common Core (Kansas College & Career Ready Standards). Make sure to visit our UPCOMING EVENTS page often, and sign-up for our email UPDATES. 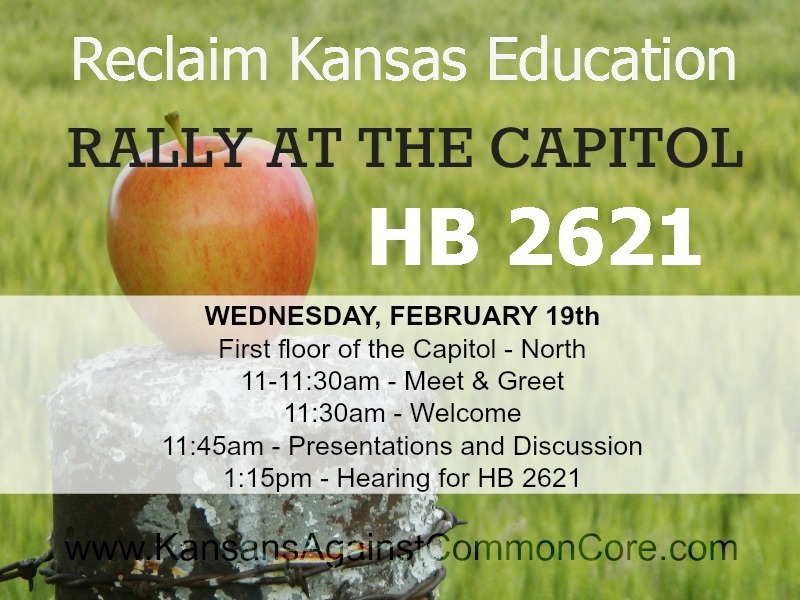 If you are interested in hosting a meeting and are looking for someone to present about Common Core, please email kristin(at)kansansagainstcommoncore(dot)com. We will do our best to help find someone to speak at your event. We want to help inform and connect as many Kansans as possible! 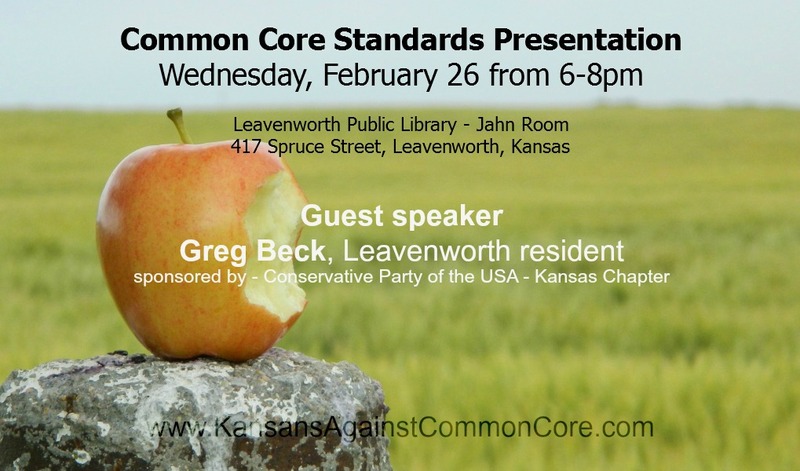 A free, public presentation on Common Core State Standards, a new educational approach in Kansas, is scheduled for 6-8 p.m. Feb 26 in the Jahn Room at Leavenworth Public Library, 427 Spruce St. The room accommodates 45 people. The Kansas chapter of the Conservative Party of the USA is the event sponsor. PLEASE HELP SPREAD THE WORD!!! Share with friends and family, and make sure you bring someone with you to the meeting. 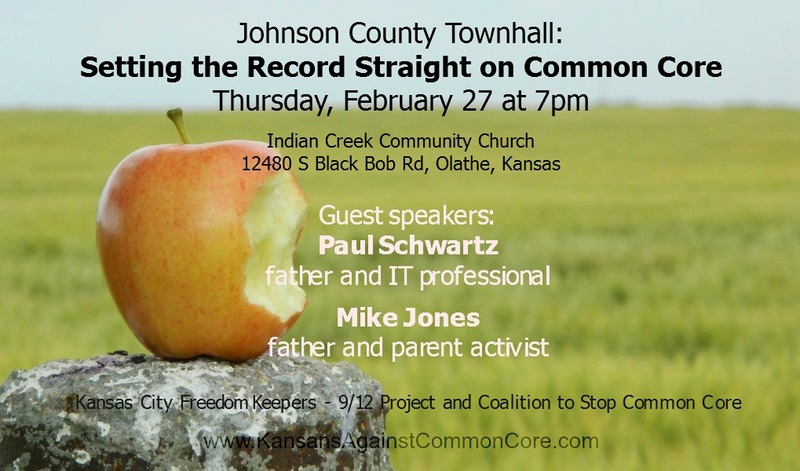 The town hall will be held at the Indian Creek Community Church in Olathe on Thursday, February 27th, at 7 p.m. The doors will open at 6:30pm. Speakers for the event include Paul Schwartz, a concerned parent and IT professional, and Mike Jones, a concerned father of seven kids. There will be a time for questions and answers at the end. In addition to walking away with a better understanding of Common Core, you will learn a variety of ways that you can personally get involved and make a difference. Remember, Common Core is not a “left” or “right” issue; it is non-partisan and the effects will be felt across our nation now and into the future. – The standards are of poor quality and put our children two years behind those of high performing nations. – They substitute classic literature for drab informational text at a time when our children need to be reading more classic literature to prepare for college. – The standards are age inappropriate in grade k-3 according to child psychologist across the nation. – Data privacy issues with the Data being collected. 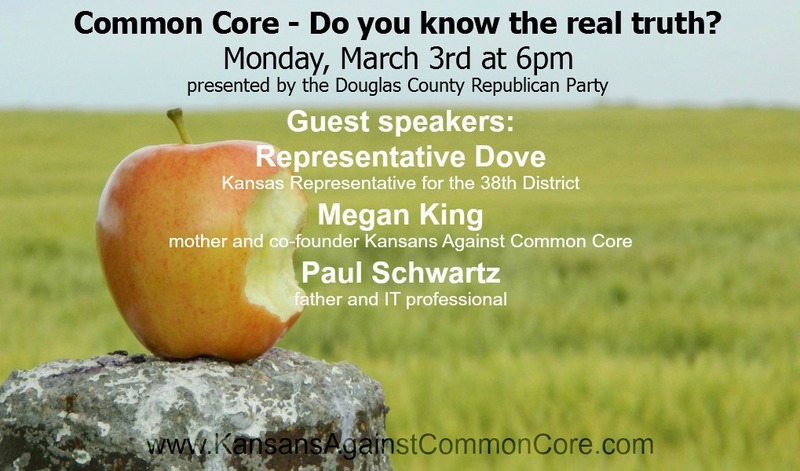 Monday, March 3rd at 6pm – Common Core – Do you know the real truth? (Lawrence, KS) *Details below. 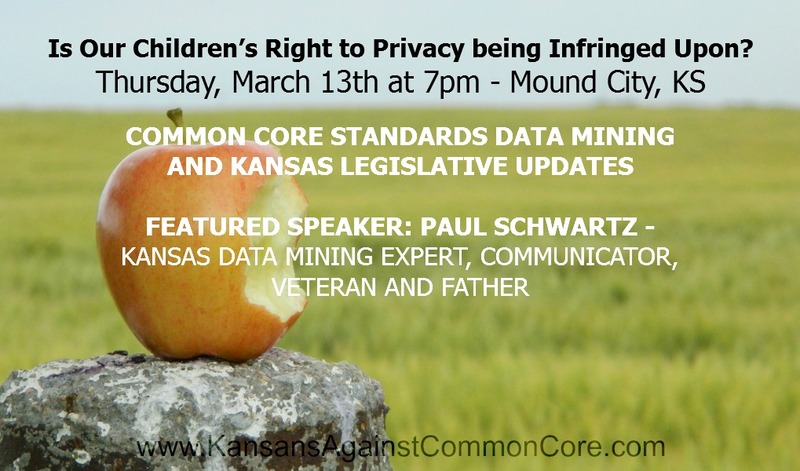 Thursday, March 13th at 7pm – Is Our Children’s Right to Privacy being Infringed Upon? (Mound City, KS) *Details below. 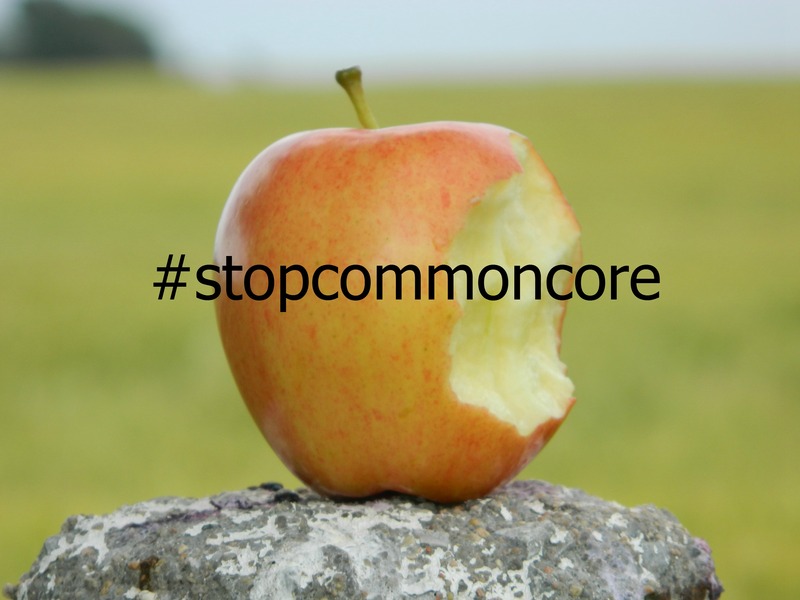 Common Core – Do you know the real truth? Is Our Children’s Right to Privacy being Infringed Upon? TODAY! Please CALL & EMAIL all House Education Committee members! and tell them to support HB 2621. *All contact information is listed below. Room 112-N, Kansas Capitol, Topeka, KS. WEDNESDAY: Rally at the Capitol! We need your help today, please, to make several quick phone calls to save Kansas children from a dumbed-down curriculum; to make a critical defense of the United States and Kansas constitutions; and to pushback against federal expansion. The House Education Committee members will be hearing HB 2621 on Wednesday, February 19 at 1:15pm, and we need HB 2621 to pass out of the committee. 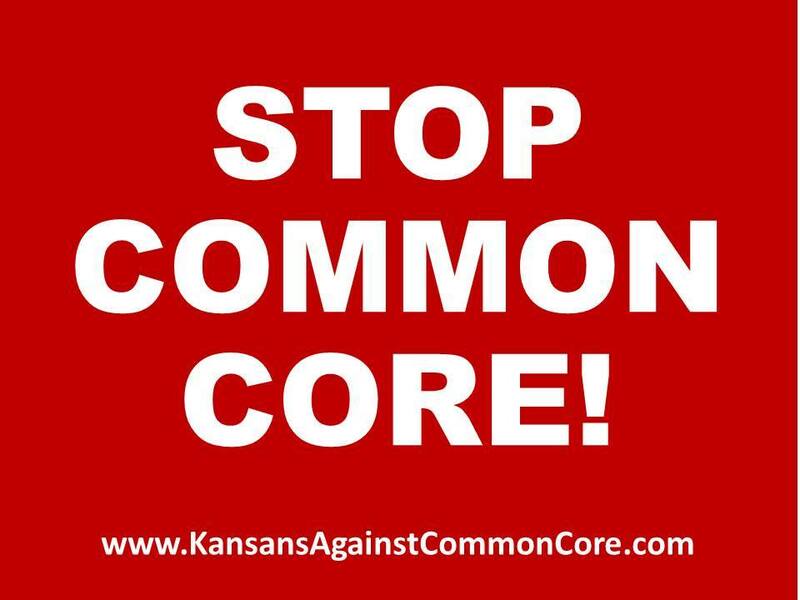 The Kansas Board of Education adopted the national K-12 Common Core standards in English and math in 2010 in order to score points on a federal grant competition…a competition we did not even win….money we did not get! Kansas needs to reclaim its authority over education. It needs to get out of the standards and develop world class standards that the Kansans control. The state legislature can do this with passage of a simple law. Please call the members of the House Education Committee listed below, and respectfully tell them to support HB 2621. 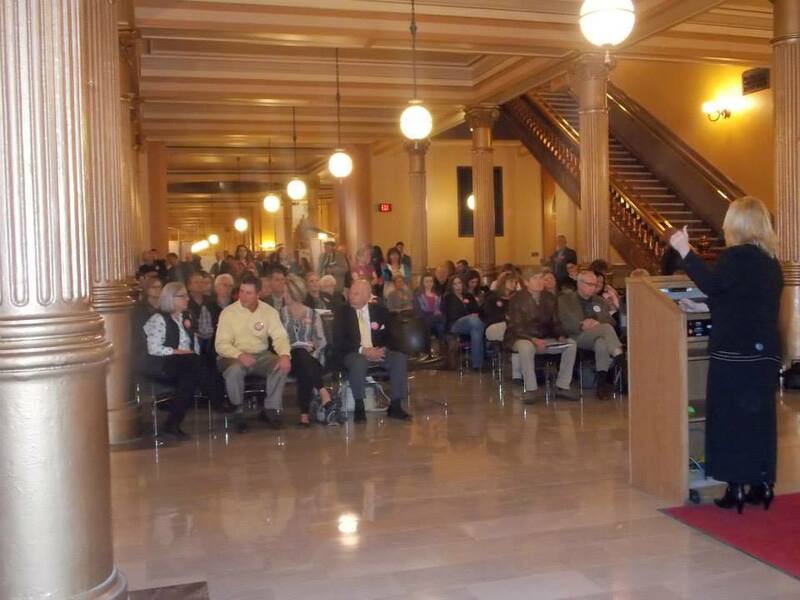 They need to help lead Kansas out of the Common Core this session. It is time for citizens to once again direct government. We must push back against special interests and federal expansion. Please help do that. 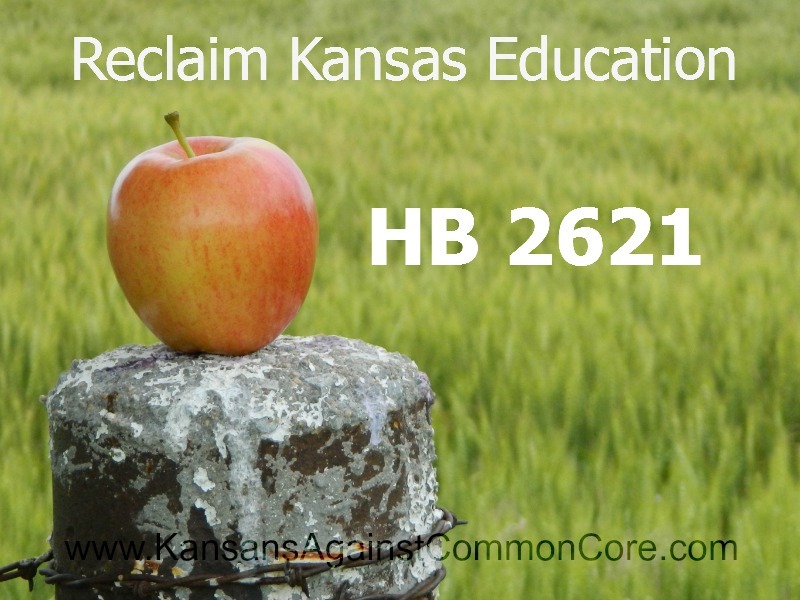 HB 2621 is scheduled to be heard by the House Education Committee on Wednesday, February 19, 2014 at 1:15pm in room 112-N of the State Capitol. ATTEND: We need you at the hearing!!! 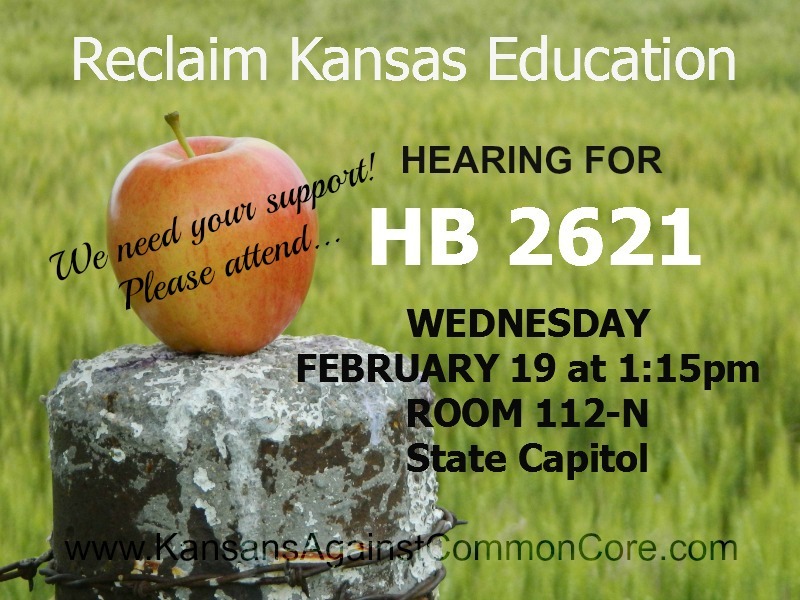 Please show your support for HB 2621 by attending. If she is not able to answer her phone, please leave a voice mail message plus send her a quick email to sign-up in support of passing HB2621. You will also need to submit an electronic copy to Sue.Mollenkamp@house.ks.gov, and provide her with 40 copies of your written testimony. It will need to be delivered by 10am on the day of the hearing (Wednesday, February 19). *IF YOU CANNOT TESTIFY IN PERSON, you may still submit your written testimony as an email attachment. Please submit to Sue.Mollenkamp@house.ks.gov. Please keep your written testimony simple and concise. Please continue the phone calls, letters, emails, texts and tweets! We will be sharing more details very soon! Including date, time and location for a committee hearing. This will be very important, and we will need you to be there!